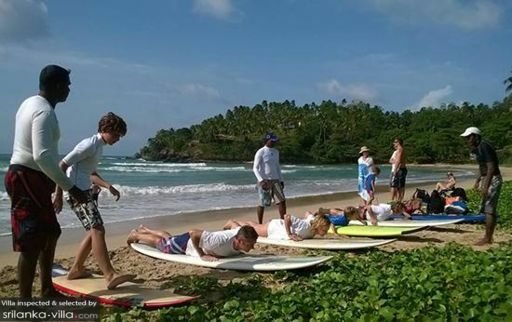 Villa travellers in search of surfing lessons along the coasts of Tangalle will not go wrong with taking up classes offered at Bandula Surfing School. Bandula and his team have received rave reviews. Apart from being brought about to the best surfing spots in the area, you can also expect to gain a wealth of surfing tips and information about Tangalle and its surroundings from the friendly and amiable Bandula.